Design of the product hardware load board schematic and the Adaptor Board for interfacing with the DUT. Design of the probe card based on the die pad layout and suitable interface with the Tester Load Board. Development of the test program code for the designed hardware schematic as per the agreed Test Plan Matrix conditions. Verification & Refinement of the developed application program and set-up using Correlation Units provided by the Customer, wherever available. Electrical Characterization of New products for various parameters & input conditions. 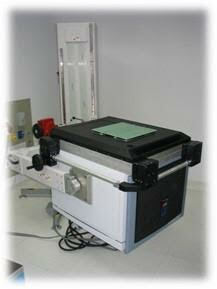 Capabilities to test products in both packaged level component form as well as die level wafer form. On-line Monitoring of Test Yields and Analysis / Reporting of Low Yielding Engineering Lots. Even load balancing technique is adopted to handle any sudden spike in the production volumes, than the usuals. Fool-proof reject handling mechanism at all stages of Testing.